Fast Drug Output for Faster Treatment Times – You get faster treatment times with the Sidestream Nebulizers. They deliver 2.5 ml of drug output within 7 minutes, so patients can spend more time on their normal activities. 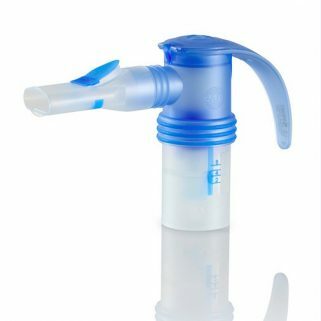 Choice of Nebulizers to Reduce Costs – The Reusable Sidestream offers optimal patient care minimal administrative effort. It can be used for 6 months before replacing. 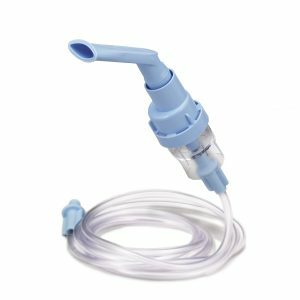 The Disposable Sidestream is less expensive, and can be used in the same manner as the reusable Sidestream, but for no more than 2 weeks. Sidestream’s Venturi system enhances output (80% of drug output volume is below 5 microns in size). It also speeds up treatment time by using five aerosol-producing jet holes instead of one, providing additional flow to the patient of up to 16 lpm above compressor output. Traditional nebulizers are limited to the compressor’s flow output.